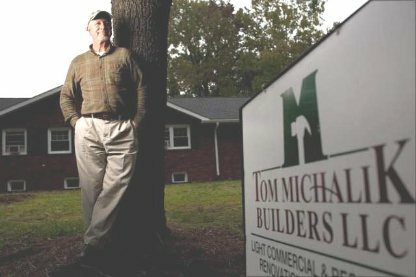 "We set the standard of excellence for others to follow"
Consistency is the word used to describe Tom Michalik Builders, L.L.C. The approach taken as a renovations and remodeling firm is consistent with providing great quality and value to the client. The cost estimates are fair, and the work is performed professionally, with a "can do" attitude throughout the entire renovation process. To continually strive to provide quality Residential and light Commercial renovations and remodeling, while conducting business in the most efficient means possible, keeping costs to a minimum, thus remaining competitive in the Market Place.